Present state: The up platform is fully restored with new signs, a waiting room and shop/museum and a new signal box. The down platform is partially restored with a new sign but no track. The goods shed is in separate ownership. The station masters house is available as a holiday let. Notes: Ludborough was one of the original stations on the East Lincolnshire Railway, opening on 1st March 1848. It was typical of many ELR stations having staggered platforms either side of a level crossing, waiting shelters were provided on both platforms. 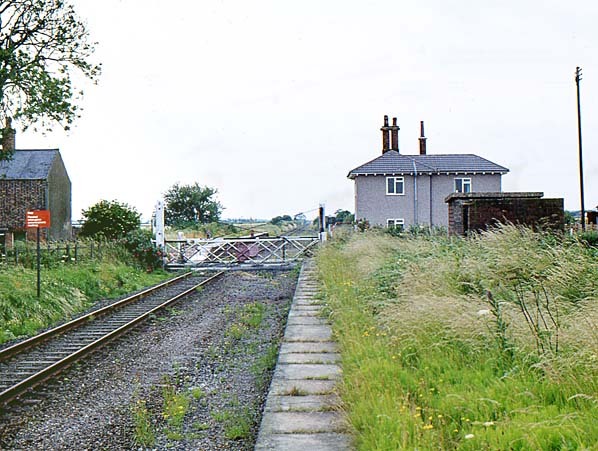 A signal box on the up side of the line and on the south side of the level crossing controlled the crossing and access to the goods yard with two sidings on the down side of the line north of the level crossing. Cattle pens and a large brick goods shed were located at the south end of the yard, That on the down side ran into a loading dock behind the down platform. 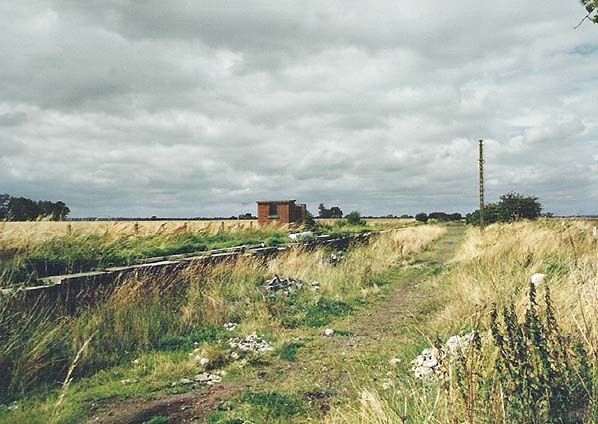 There was a cattle pen at the north end of the yard, The station master's house, similar in design to others on the line was built in the north east corner of the yard, opposite the up platform. 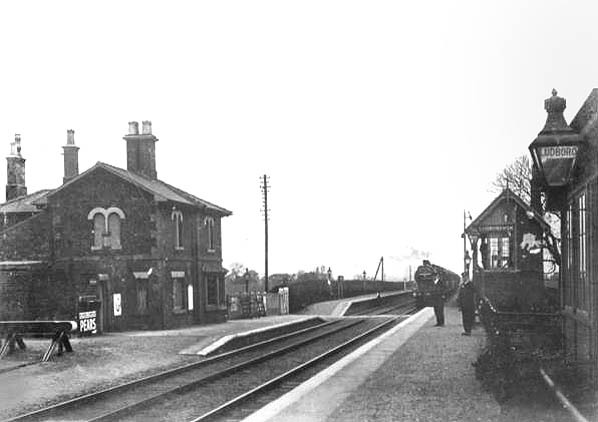 A row of railway cottages were built behind the signal box. 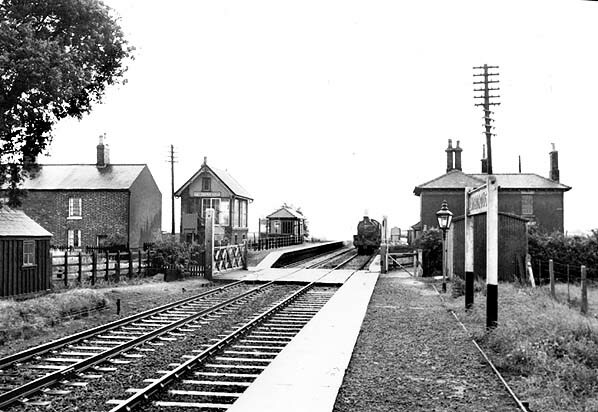 In 1905 a short low platform was built for railmotors on the down side opposite the up platform. Goods traffic ceased on 25th May 1964. Grimsby-Louth Railway Preservation Society rehabilitated Ludborough station in 1984 and eventually laid track into the up platform. 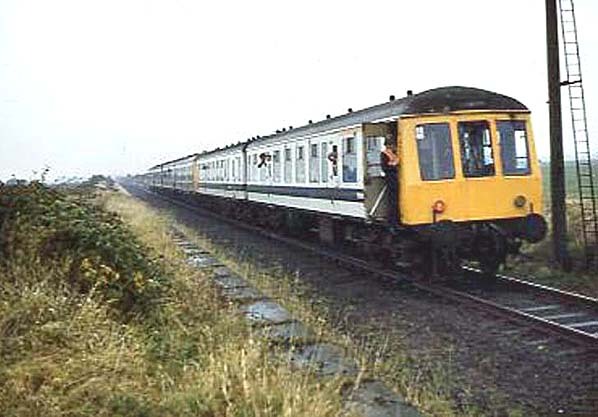 Following a public enquiry in 1991 a Light Railway Order was granted to the Great Northern & East Lincolnshire Railway plc, which allowed them to develop the line with the first trains running in 1991 from their base at Ludborough. The south (up) platform was restored first with a new GNR style signal box in its original position, built in the original Great Northern style, a waiting room which houses a small museum and shop, a paved platform and a 2-lane engine shed. In 2001 work started on the north platform with the building of a toilet block to include disabled and baby changing facilities and a new sign was erected on the platform in 2004. Click here to see a film of a train journey between Ludborough and North Thoresby on 30th August 2009. The station master's house has been renovated as a holiday let, there are also three 'camping coaches' in the goods yard. additional coaches could be added. There were up to 8 return trips a day on this service. 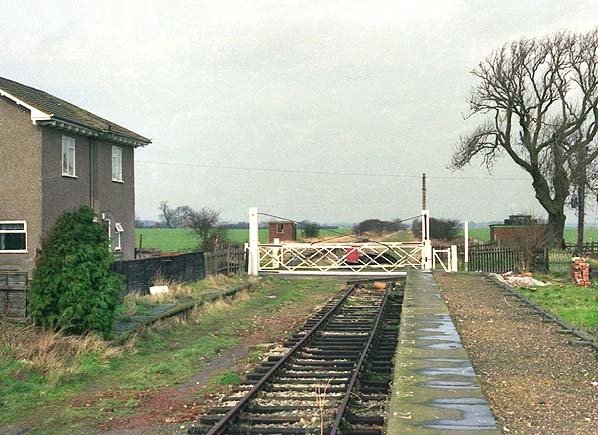 The British Transport Commission stated that the Willoughby - Mablethorpe line would remain open with services developed if demand increased. However no attempt to develop holiday traffic was made; instead there was a deliberate ‘run down’ of railway services throughout East Lincolnshire with a reduction of cheap tickets and the withdrawal of services from time-tables. The Beeching Axe was about to fall. Ludborough station looking north. The 1905 railmotor platform is seen on the left. This is the only surviving railmotor platform on the line. Ludborough station looking south from the north platform in July 1977 taken from the same viewpoint as the picture above. The last passenger train to Louth approaching Ludborough station on 3rd October 1970. The derelict down platform is seen on the left. Ludborough up platform looking north in February 1990, during the early days of restoration. The low railmotor platform is seen on the left. 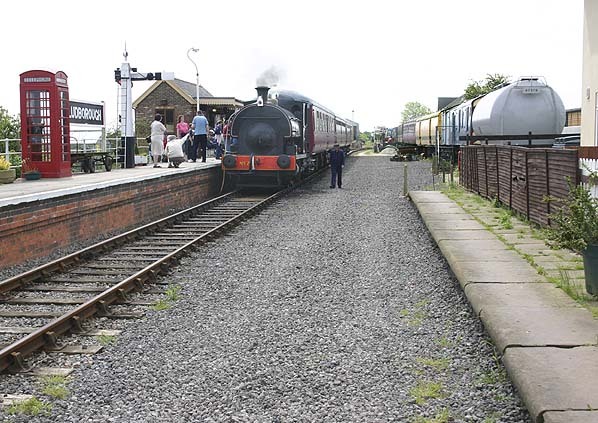 Ludborough station looking south in June 2006, Fulstow No 2 a Peckett 0-4-0 stands in the platform with a passenger train. The low railmotor platform is seen on the right.